You are here: Home / Ideas@Work Blog / Ideas@Work Blog / Is B2B Marketing Based on Fact or Fiction? 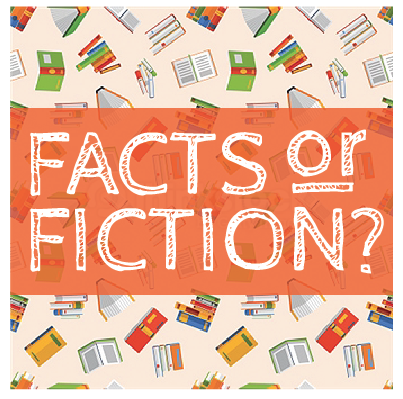 Is B2B Marketing Based on Fact or Fiction? Wondering why your latest expensive and time-consuming marketing campaign generated less leads than expected? Maybe it’s time to embrace inbound marketing and pay attention to the data. Too often, marketing executives believe their own institutional fiction. They spend too much time getting consensus from corporate executives to embrace their inward view of the world, a fabricated and fictional view of their customer’s day-to-day. I admit, it tells a good story and sounds convincing. Yet, thousands of dollars later and with the clock ticking, your campaign launched and here you are…with your two leads. Ugh. Last year, I was fortunate to participate in Georgia Tech’s Advanced Technology Development Center (ATDC) customer discovery program. The program is simple – find product / market fit before you build your cool idea, spend all your money and fry all your time. Let’s face it, we all have a limited runway to gain lift, and this is especially true when it comes to marketing campaigns. Although the class was designed for innovators, I think we, as marketers, can learn a lot about the science of fast failure and its relevancy in inbound marketing and campaign management. As a storyteller, I get it. Why let the facts get in the way of a great story? But as marketers, with ROI tattooed on our foreheads, the facts are critical in achieving results. The kind of results that let you keep your budget, your staff and probably in the long run, your job. Better yet, watch their actions. Too many hours are spent by corporate marketers guessing what they think their prospective c-level executives want to read, how they want to be communicated with and what messaging mix makes up the magic pixie dust needed to get them to pick up the phone or submit their all-too-illusive email address through gated content. At ATDC, they called it customer discovery so I suggest you discover what they want before you build that website, write all that content and bet your career on that campaign. Seriously, just ask a few – they will tell you. Don’t ask your sales reps – ask your customers and do the research yourself. Don’t farm it out. Then, put together a rapid inbound marketing campaign, using a tool like Hubspot, and validate your assumptions. Are you sure you really have the facts on this? Maybe its time to get out of the building and away from your sales executives and sector leaders and talk to the clients. You have to peel the onion to truly discover the underlying behavioral motivators that trigger c-level executives to spend time with, what is accurately perceived as, a vendor trying to secure new business. Stop selling your fiction and start sharing your truth. And the only way to truly discover the truth is to spend time with your existing clients that walked the walk. Get passed the canned language approved by the lawyers and uncover what truly motivated that one person to say, “tell me more” – even if you can’t attribute the quote to preserve the honesty. Yes, it’s a double negative. But frankly, that’s the point. I spent a few years in healthcare marketing and I can share, firsthand, that most people avoid making tough decisions about their health until they cannot, not embrace the change. It’s amazing the clarity a night in the cardiac unit brings to an analysis of your personal choices. In order to get c-level executives to react and respond, it has to be an experience, interaction or data point that they can simply not, not respond and react to. That’s the ticket – spend more time uncovering that truth, even at the expense of writing that next blog post or mind-numbing email just to say you did. The real unlock of inbound marketing is not just the data, but a clarity concerning what to do next. I like fast failure. I like its clarity. The sooner you figure out what falls flat, the quicker you can get to a message that resonates. And a message that resonates generates leads. https://www.mltcreative.com/wp-content/uploads/2017/01/unnamed-1.png 399 403 David Reap https://www.mltcreative.com/wp-content/uploads/2013/04/MLT_Creative_logo.png David Reap2017-01-13 16:37:012017-04-24 10:52:25Is B2B Marketing Based on Fact or Fiction?